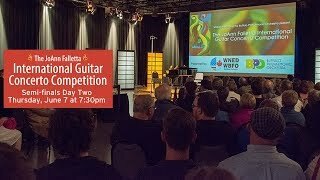 On Day 2 (June 7), the remaining four competitors will perform live with an accompanist at the WNED Studios, and the judges will select three finalist to perform with the Buffalo Philharmonic Orchestra in the Finals on Saturday, June 9. 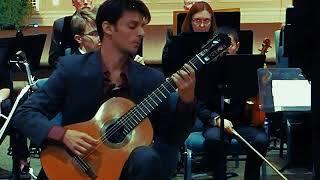 Support talented young guitarists and the JoAnn Falletta International Guitar Concerto Competition. The first cadenza in the second movement of the beautiful Concierto De Aranjuez by Joaquin Rodrigo. This was taken from audience footage from a live performance with the Tehachapi Symphony Orchestra with David Newby conducting. To learn more about Jack, go to his website at www.jackcimo.com and check out his new album JACK CIMO PLAYS BACH, BOGDANOVIC, WALTON, AND ARNOLD on iTunes at https://geo.itunes.apple.com/us/album/jack-cimo-plays-bach-bogdanovic-walton-and-arnold/1459081945?mt=1&app=music or Spotify at https://open.spotify.com/album/1PFGrkvYEbePZucK8GbxKZ. 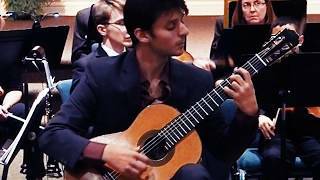 The second cadenza in the second movement of the beautiful Concierto De Aranjuez by Joaquin Rodrigo. 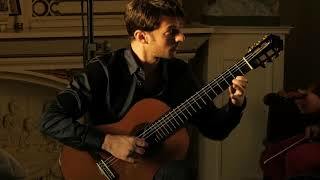 To learn more about Jack Cimo, go to his website at www.jackcimo.com and check out his new album JACK CIMO PLAYS BACH, BOGDANOVIC, WALTON, AND ARNOLD on iTunes at https://geo.itunes.apple.com/us/album/jack-cimo-plays-bach-bogdanovic-walton-and-arnold/1459081945?mt=1&app=music or Spotify at https://open.spotify.com/album/1PFGrkvYEbePZucK8GbxKZ. This is the B section from Mauro Giuliani's beautiful set of variations called La Rose. It was from a concert in Cambria, California. I love playing Giuliani because it works so well on the guitar! 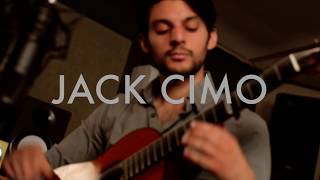 Classical guitarist Jack Cimo does a little improvisation in a flamenco style for his take on the Beatles' classic "Here Comes the Sun"
Please support by subscribing to my channel, and check out my website www.jackcimo.com for more info and booking. This was recorded and edited by my friend and fellow musician Dan Curcio of the Moonshiner Collective. All one take, no audio editing. 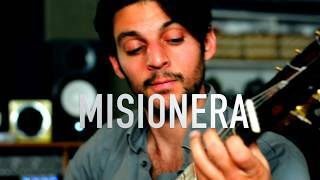 Jack Cimo Plays Misionera by Federico Bustamante. Originally written for harp! 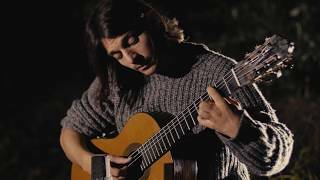 In honor of the late Roland Dyens, guitarist and composer extraordinaire, Jack Cimo plays the Largo from Libra Sonatine, a seminal work. Shot in 4k by John Turner of Turned Productions and recorded live at night in the forest in Napa Valley, California. Thanks to John Turner, Sean Stuart, and Justin Doty for their help with the video.